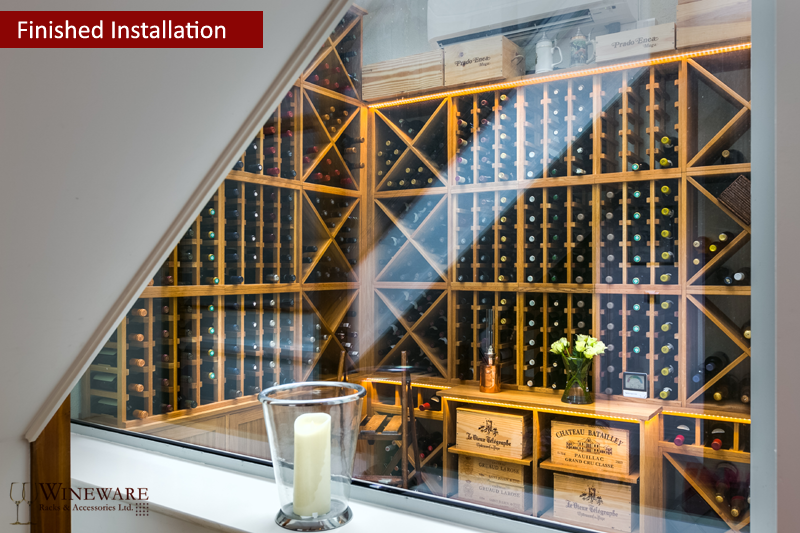 Other Info: This glass front air conditioned residential wine cellar is the main feature of the downstairs of the home. 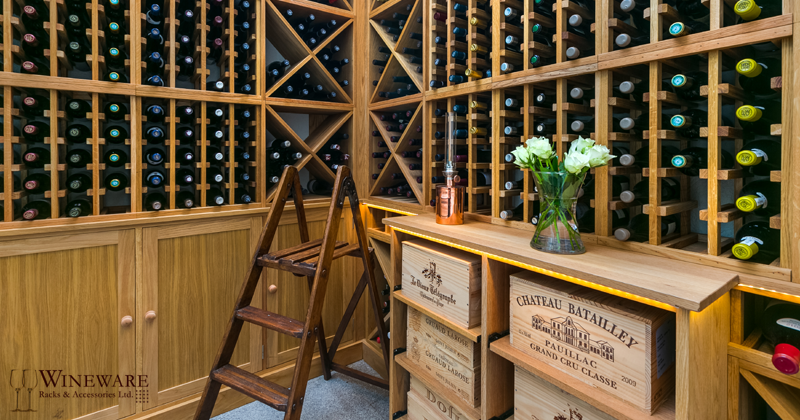 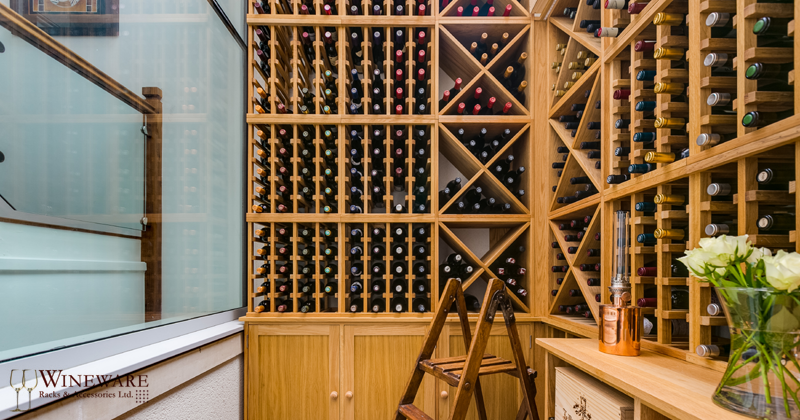 This private residential lower ground room in a private home in London has been totally transformed into a delightful wine room that is temperature controlled and ideal for storing a variety of wine, champagne and more. 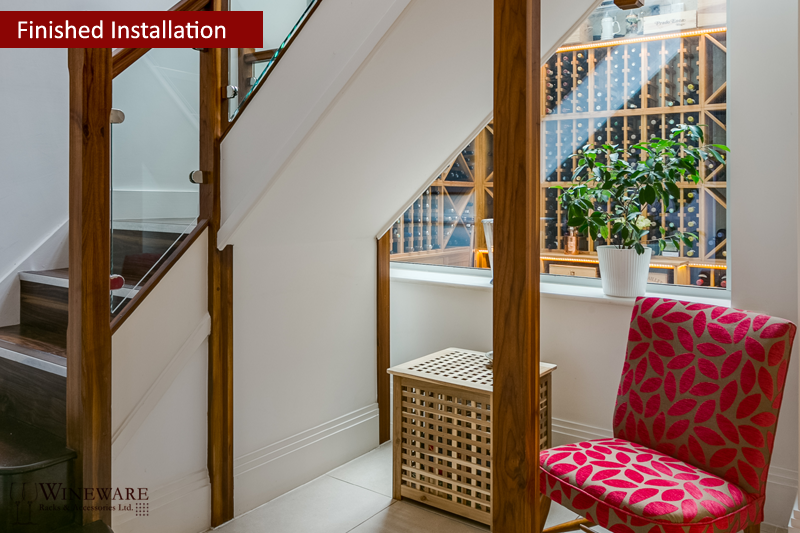 The room has a stunning glass wall along one side that is the full length of the main stairs within the property making it a great feature. 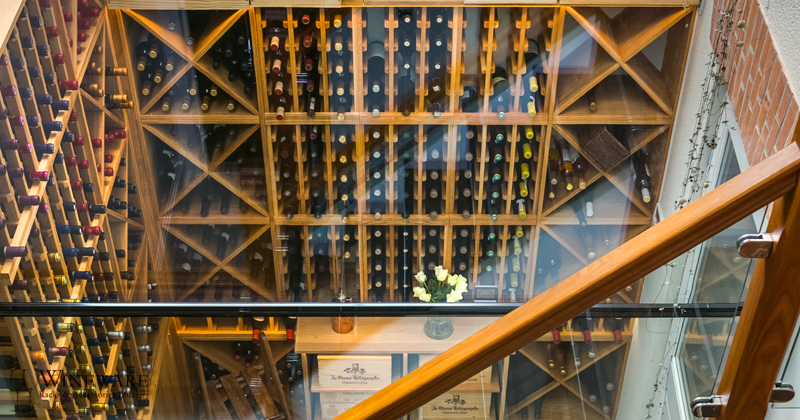 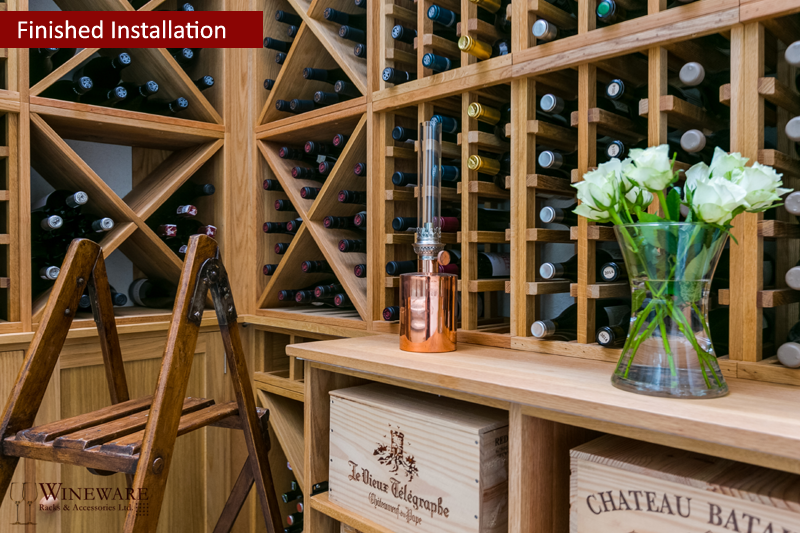 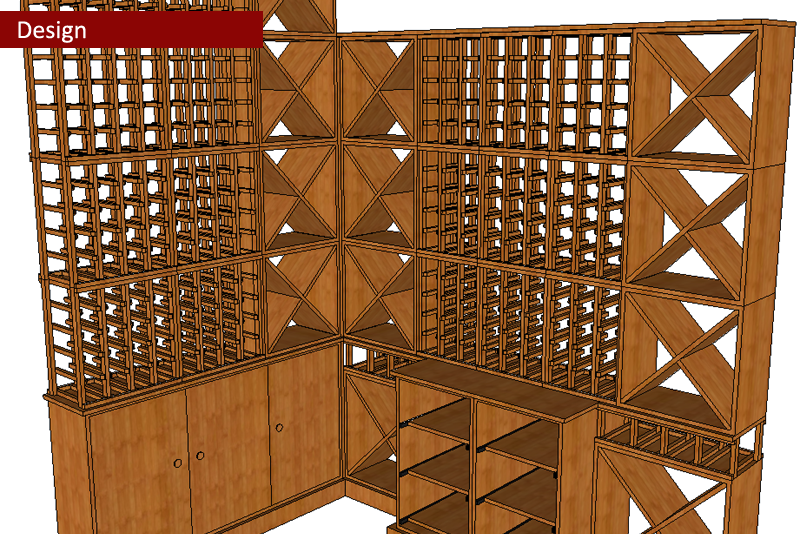 We were requested to install the bespoke wine racking so the customer could store their much loved wine collection. 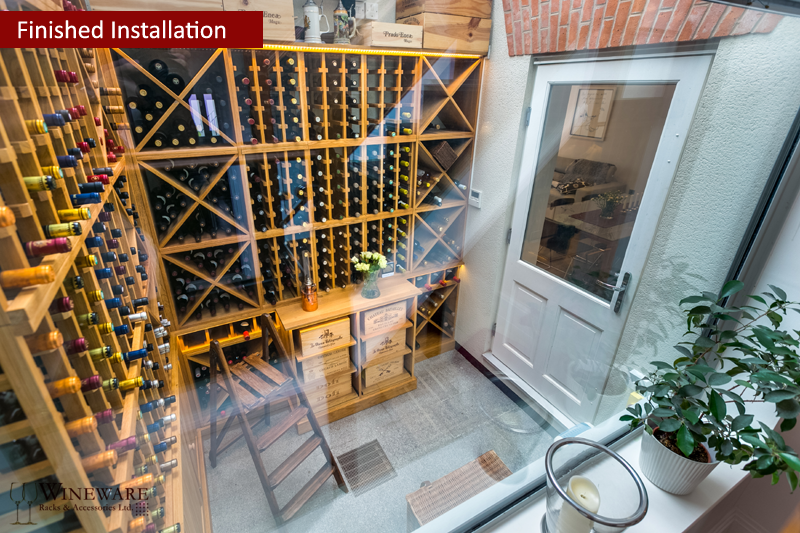 Due to the variation of different bottle storage systems such as cellar cubes, individual bottle holes, case racks, cupboards and work surfaces etc, the room is now capable of storing over 600 bottles (25+ cases). 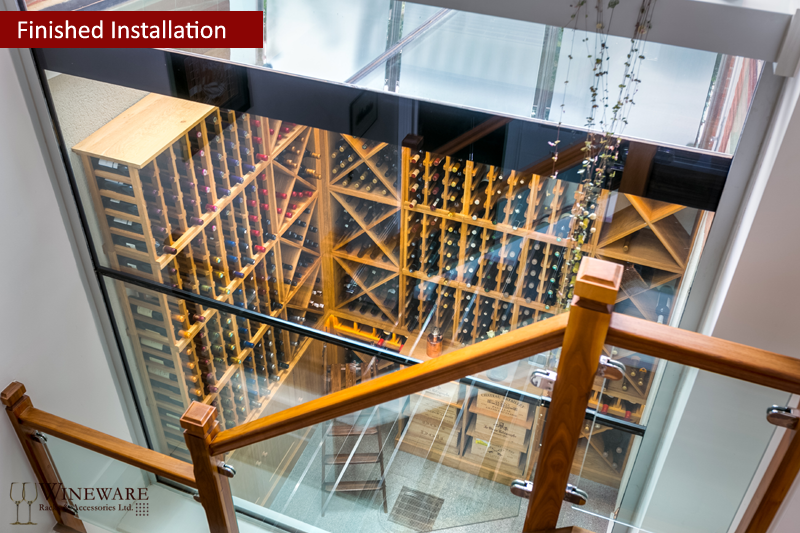 The visual impact as you enter and descend the stairs is incredible as you're met with this wine spectacle, a variation of different coloured bottle tops and the striking oak. 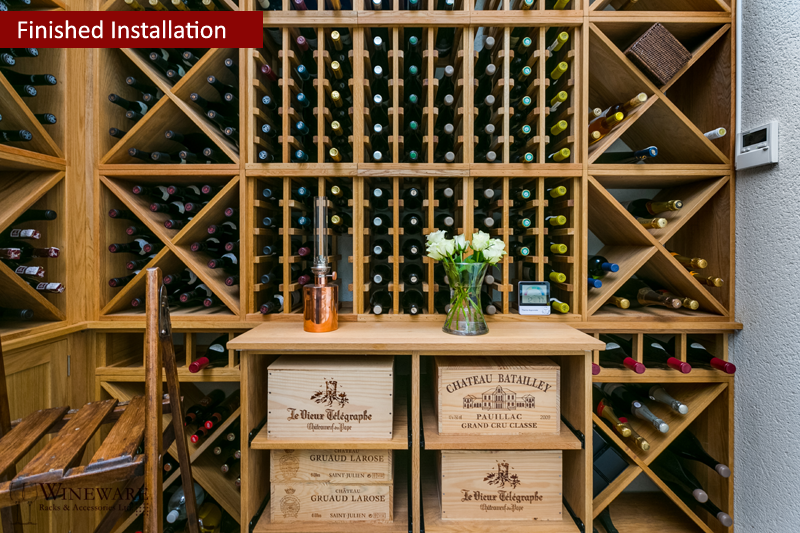 All of the racking provided to this private home in London is made from solid oak and the majority of the units were constructed offsite prior to delivery to the property in order to minimise the installation time on site.